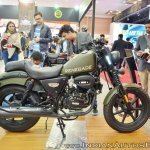 UM Lohia Two Wheelers has launched two entry-level products, the UM Renegade Duty S and the UM Renegade Duty Ace at the 2018 Auto Expo in India. 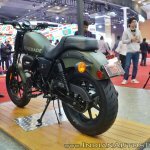 Here are the bikes' images from the event. 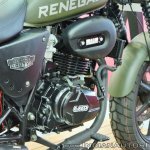 The UM Renegade Duty S features a compact cruiser design that is reminiscent of the Harley-Davidson Iron 883. Apart from the fuel tank and the fenders, the bike bears a black theme. 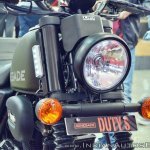 The round headlamp and the indicators feature black nacelle as well. 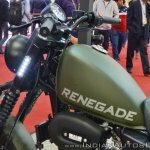 The UM Renegade Duty Ace on the other hand comes with dual tone finish on the fuel tank, front fender and headlamp cowl. 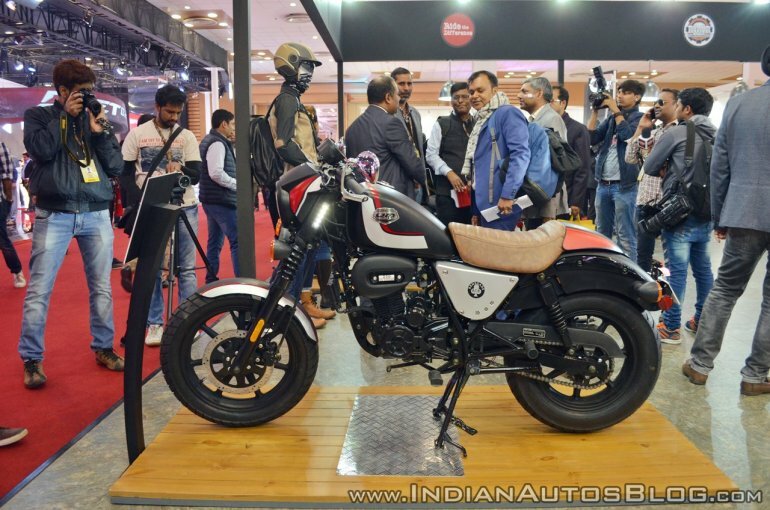 The cowl has a café-racer inspired design, and the premium seat comes with a pillion cowl. The two motorcycles feature signature LED light strips on the sides of the fork’s upper arm. 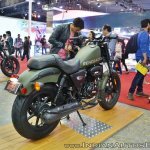 Both the motorcycles share the same 223 cc single cylinder engine with air and oil cooling. The powerplant pairs with a 5-speed transmission. 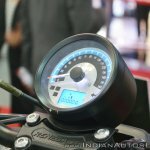 It is capable of giving out 17 PS of power at 8,000 rpm, and 17 Nm of torque at 5,000 rpm. The 17-inch front and the 15-inch rear alloy wheels are shod with fat 120-section front and 130-section rear tyres. 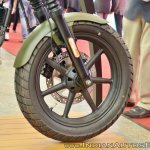 A 280 mm front disc and a 130 mm rear drum handle the braking duty. 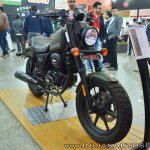 Both the bikes come with a 10-litre fuel tank, and a claimed fuel efficiency of 41 km/l. 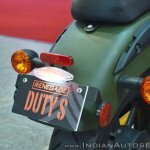 The UM Renegade Duty S is 2 kg heavier than the UM Renegade Duty Ace, at 142 kg, kerb. 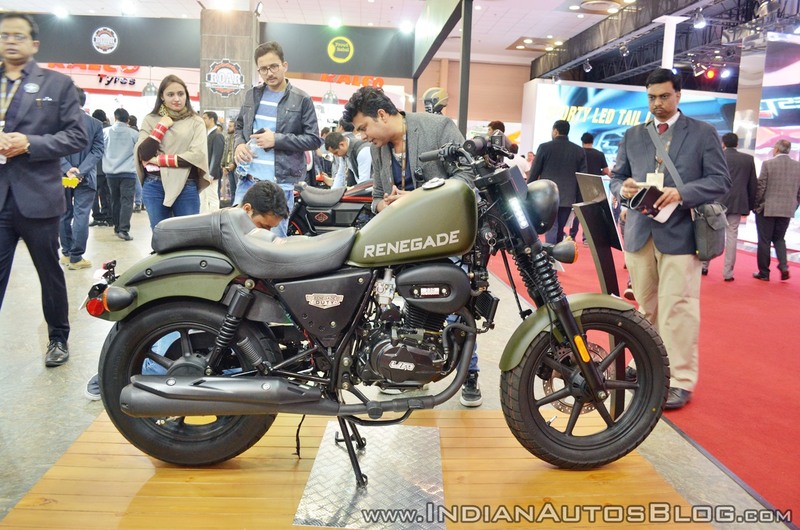 Pricing for the Renegade Duty S and the Renegade Duty Ace start at INR 1.10 lakh, ex-showroom.